The Newburgh Free Academy Goldback's defeated the Warwick Wildcats 80-59 on Thursday, January 13, 2011 in Newburgh, NY in a non-league game. 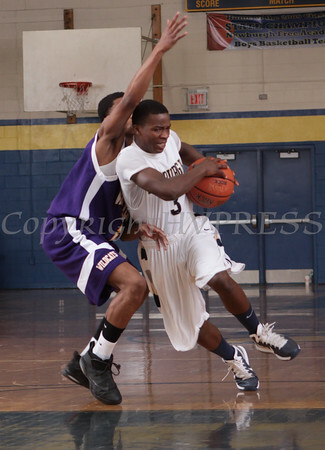 Newburgh Free Academy Goldback Fred Whitted (3) drives past a Warwick defender on Thursday, January 13, 2011 in Newburgh, NY. NFA defeated Warwick 80-59. Hudson Valley Press/CHUCK STEWART, JR.